D-ribose is a molecule that is used by the body to synthesize nucleotides, nucleic acids and glycogen, and is an important part of ATP, a compound found in every cell in the body that holds the energy that fuels it. Almost all of the energy the body uses comes from ATP. D-ribose has been shown to increase cellular energy synthesis in heart and skeletal muscle, and to enhance energy, sleep, metal clarity and well-being. Strenuous exercise can lead to large amounts of ATP being depleted in heart and skeletal muscle cells. 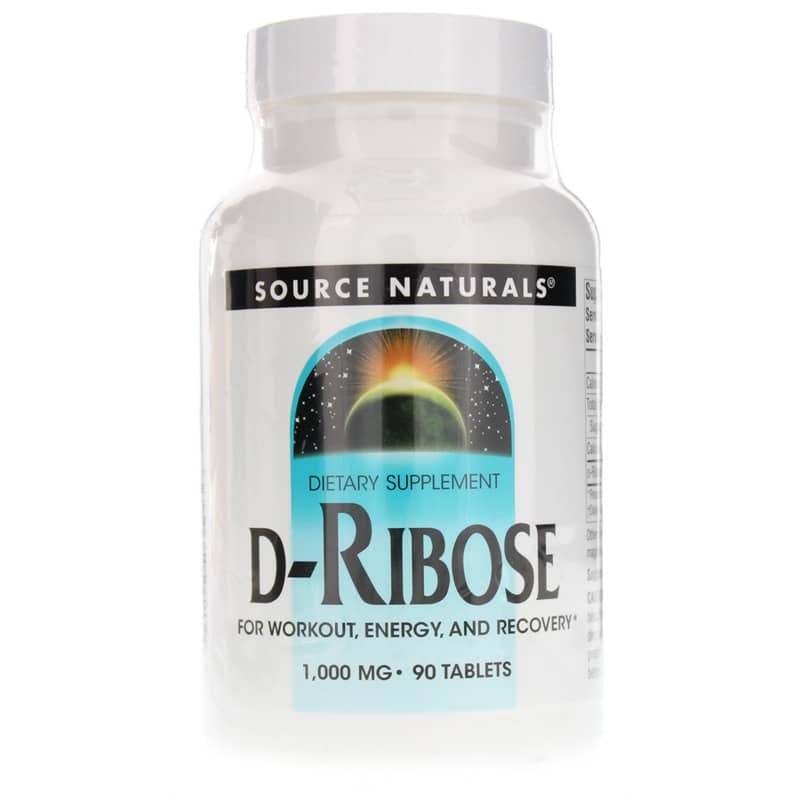 Source Naturals offers a natural supplement called D-Ribose, which enhances ATP energy levels for workout and recovery. D-Ribose contains no yeast, dairy, egg, gluten, soy, wheat, starch, salt, preservatives, or artificial color, flavor or fragrance. This supplement is best taken with a meal. 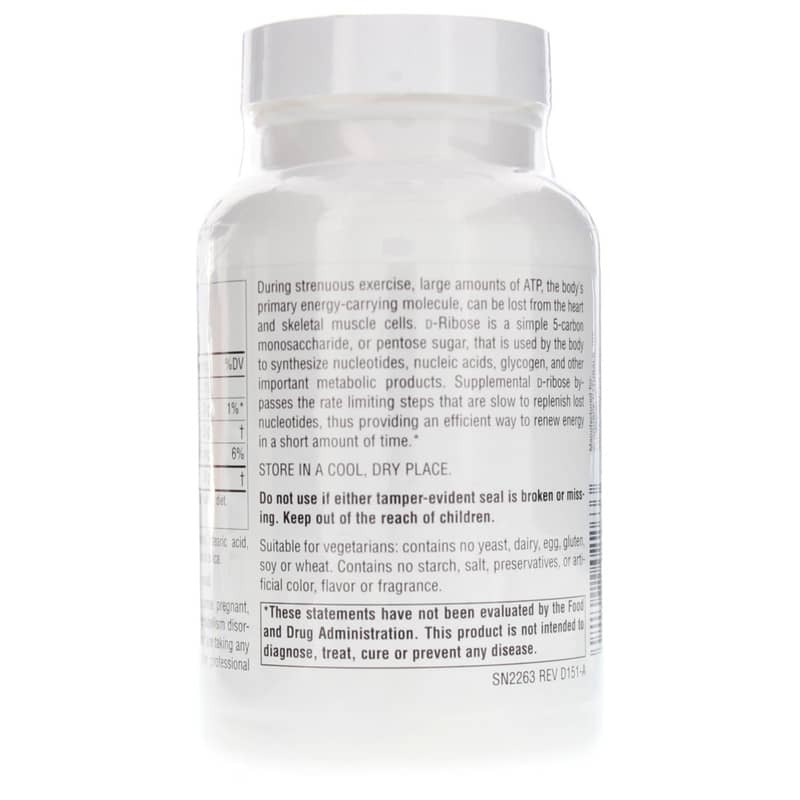 If you're looking for a natural d-ribose supplement that enhances ATP energy levels for workout and recovery, check into Source Naturals' D-Ribose. Order online today! Contains NO: yeast, dairy, egg, gluten, soy, wheat, starch, salt, preservatives, or artificial color, flavor or fragrance. Vegetarian. 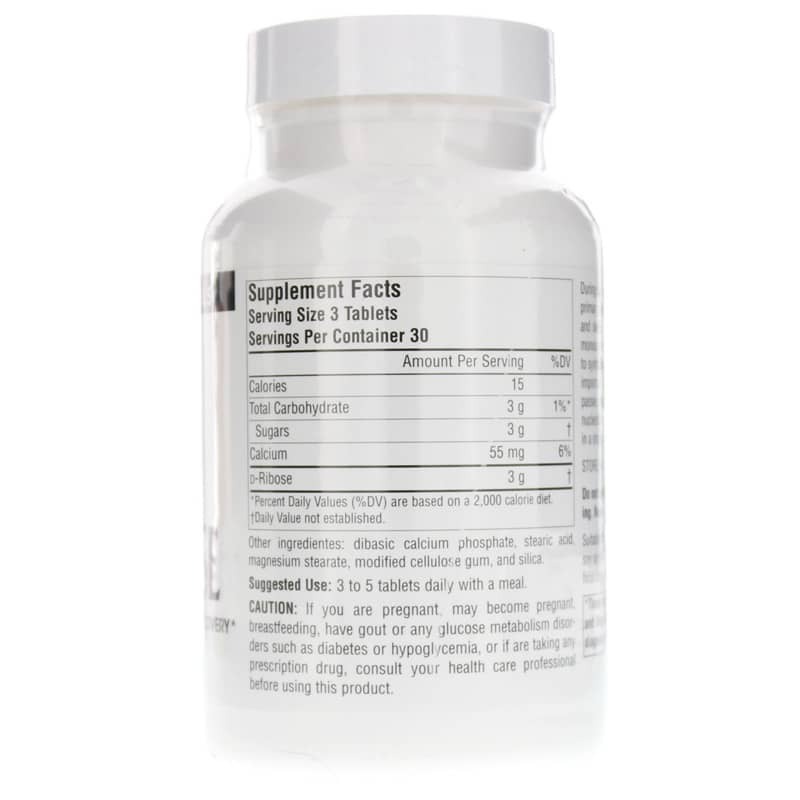 Adults: 3 to 5 tablets daily with a meal. If you are pregnant, may become pregnant, breastfeeding, have gout or any glucose metabolism disorders such as diabetes or hypoglycemia, or if are taking any prescription drug, consult your health care professional before using this product. Do not use if either tamper-evident seal is broken or missing. Keep out of the reach of children.